A stunning New York socialite and a down-to-earth city cop are caught in a deadly web of illicit passion and heart-stopping suspense in this taut, stylish thriller. 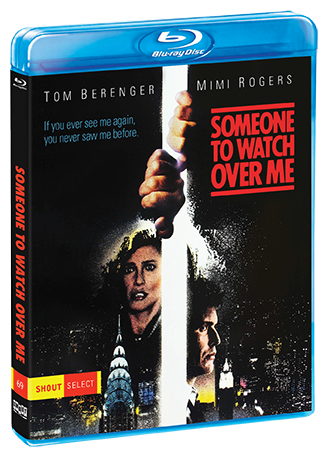 Newly appointed detective Mike Keegan (Tom Berenger, Platoon) finds his life turned upside-down when he's assigned to protect Claire Gregory (Mimi Rogers, How To Get Away With Murder), the beautiful eyewitness to a brutal murder. Lured into danger and the dizzying heights of Gregory's glamorous lifestyle, Keegan struggles to walk the line between protection and obsession — while trying to stay one step ahead of the psychotic killer. 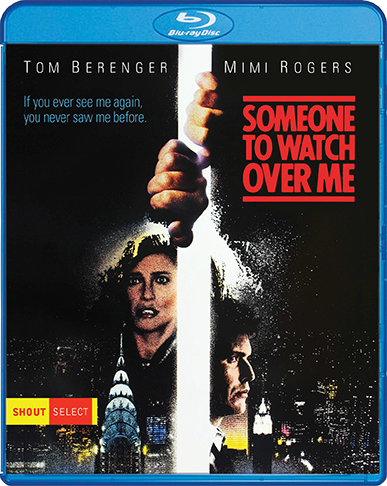 Acclaimed director Ridley Scott (Alien, Blade Runner) paints an erotically seductive portrait of high-stakes suspense in America's power playground in Someone To Watch Over Me.